Before joining the Chemical Engineering Department at UMD in Fall 2007, Dr. Klauda was an Intramural Research Training Award (IRTA) Postdoctoral Fellow in the Laboratory of Computational Biology at the National Heart, Lung and Blood Institute, National Institutes of Health (NIH). There, he studied lipid forcefield improvements and dynamical behavior of membranes, and transport of sugars through the cell membrane via proteins. His Ph.D. work mainly involved predicting the thermodynamic stability of gas hydrates and global amount of this alternate source of natural gas. The separation of molecular nitrogen and oxygen via nanoporous carbons was also a part of his doctoral work. Cell membrane biophysics, thermodynamics, and molecular simulations. Professor Klauda's research interests encompass thermodynamic modeling and molecular simulations with applications in energy, gas separation, and biomolecular systems. Thermodynamic stability of natural gas hydrates (gas encapsulated by a water crystal lattice of cavities) requires high pressures. These are commonly found in pipelines and can plug the flow of natural gas, but also exist in nature in permafrost or the seafloor. His thermodynamic/mass transfer modeling of methane hydrates in the seafloor suggests that there are three orders of magnitude more methane in hydrated form than in conventional global reserves. These results also have huge implications for an alternate source of natural gas reserves within the U.S. to reduce dependency on foreign energy sources. Moreover, this form of water offers a potential way to sequester carbon dioxide and efficiently separate gasses. Professor Klauda's research in the bioarea is focused on understanding the behavior of cell membranes and how small molecules, such as sugars, cholesterol, and drugs are transported into and out of the cell. This work involves using molecular simulations to study cell membranes at an atomic level. Some fundamental research focuses on developing models to describe interactions between and within lipid molecules and probing the structure of model membranes. These models are then use to develop descriptions of cellular membranes from single-celled organisms (yeast and bacteria) to membranes in human cells (ocular lens and neuronal membranes). We also do research in membrane-associated proteins that are involved in molecule transport across the cellular membrane (secondary active transporters), lipid transport proteins bewteen cellular organelles, ion-assistant membrane protein binding in cellular death, and signalling proteins involved in growth (plexin proteins). Dr. Klauda is currently collaborating with experimental groups to better understand membrane function and dynamics at a molecular level, including Professor Mary Roberts (Boston College), Dr. Klaus Gawrisch (NIH), Arvind Balijepalli (NIST), Bryan Berger (U. Virginia) and Laura Jarboe (U. Iowa). 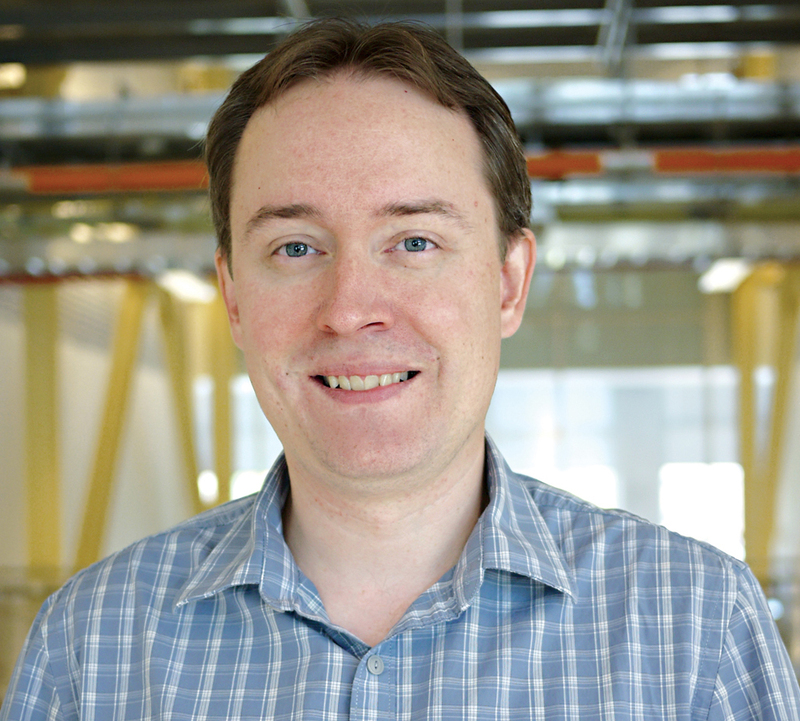 ChBE Professor Jeff Klauda published in AIP Journal of Chemical Physics. Junior bioengineering major Eric Wang recognized for work in molecular dynamics. ChBE Ph.D. Candidate Nick Guros won an award for best poster at the 4th Annual ICMS in Shanghai, China. Professor honored for efforts to increase student diversity in STEM majors. Students recognized for work on metabolic engineering, nanoparticle synthesis. Trip to conference supported by Chemical Society of Washington travel award. ChBE professors elevated to rank of Associate Professor with tenure. New ceramic membrane could improve conversion of natural gas into chemicals and fuels. Exceptional students recognized at annual ceremony. Grant supports use of advanced simulations to study protein transport in cell membranes. Winners will represent department in college-level competition. Chemical Society of Washington helps fund grad student's trip to American Chemical Society's annual meeting. ChBE sophomore selected for her work on cell membranes. ChBE grad students win health, modeling divisions of university-wide research showcase. New simulations could lay groundwork for understanding antibiotic resistance. ChBE students recognized for work in transport, dispersion polymerization. Students recognized at annual Clark School event. Undergraduate presented results of cholesterol study at Bioscience Day. Klauda, Wang arrive Fall 2007; Sriram Spring 2008.